You’re new to credit cards – you know that some people use them, but you’ve never even applied for one and you don’t have a clue as to how you can land good deals on rates. Well, let’s give you a helping hand, and let’s start with the basics: why get one, and where can you get your first credit card? First of all, it’s convenient – really convenient. A sliver or plastic is easier to carry around than a wad of cash – especially if you need to make a larger purchase, whether it’s buying a plane ticket or applying for a home. In this day and age making sure that you have good credit is important: few people can just pay in cash, and for those who can’t, good credit scores can help in life! You can get lower rates of interest when applying for loans, be it for a home or a car! Employers might check your history before taking you on. Certain utilities might do the same before letting you get a contract established. If you ever want to buy something that isn’t local, a credit card is almost the only way – if you’re getting a car imported or ordering something online, you’ll need a credit card. It’s important to make sure you have a good credit score as early as your first credit card, so it’s important to have a credit card: but where can you get one? So where can you start off? The first place to check might be your bank – they know you, and if you have been a solid customer so far and can prove your income, they’ll be more than happy to give you a credit account. 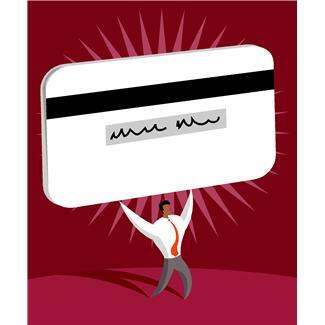 Credit unions or smaller banks might be a little bit more comfortable in offering a card to customers without credit so far – but either way, you’ll want to dig around! Take close looks at the deals available to you: stop in bank branches, check online, or make some phone calls. Sometimes card companies will come straight to you. Are you already receiving offers in your mail box from week to week? You can use these to compare the deals you’re getting – the hook is easy. Rewards, a low introductory rate and other things to entice you – but it’s on the back that you’ll find important details like fees, finance charges or interest rates. Otherwise, look online! Comparing credit cards is easy if you look around, and you can get all of the little details which are important – that you might not know when you’re getting your first credit card. This is all new to you: you need a helping hand. After you have a few offers on the table, it’s time to study them. Do they come with annual fees? What’s the yearly percentage rate? How long do introductory rates last, and what happens if you make a late payment? Some companies give you a bit of leeway on late payments – and others will slam you with a penalty as quickly as they can. Read the fine print! It’s all there, and it’s all incredibly important for your first credit card – you don’t want to pick something that’s going to work out poorly for you. Some credit cards will boost your interest rate if you miss even one payment; others will wait until you pay ate on two payments before slamming a penalty interest rate into effect. It’s all in the fine print of the card offer. So get out that magnifying glass and take a look. Once you’ve looked over the offers, pick a favorite and apply. So you’ve gotten your first credit card – what’s the etiquette like? Make sure to pay on time every time that you possibly can to get your credit history set up right, and make sure to stick to a single card at first. You really don’t need more than one when you first start off. If your credit card happens to come with a nasty annual fee, start shopping around again. A year of payments done on time will get you better deals, so look around, and once you find one, tell your old credit card company – unless they ditch that annual fee, you’re canceling the account. Be loyal as long as the company is loyal to you. Is this a good idea? It was in the past, but now things have changed – making it even more important for you to pick up your first credit card. Before 2007 you could get a shared account, but after that, the Fair Isaac Corporation decided that – in their credit rating formula – they would no longer let linked accounts contribute to the dependent’s score. That’s right; if you want to start up a solid credit history and a good credit score, you need to get your first credit card in your own name.